When you’re a vegetarian, any family event is awkward to say the least — and Thanksgiving might be the roughest holiday gathering of them all. Between every single relative challenging your reasons for not eating meat and the lack of food options, well, it’s enough to make you just want to stay home. But don’t resign yourself to nibbling celery and guzzling vegan wine in the corner just yet. Thankfully, we’ve been gifted with lots of recipes that feel hearty and traditional without the meat. 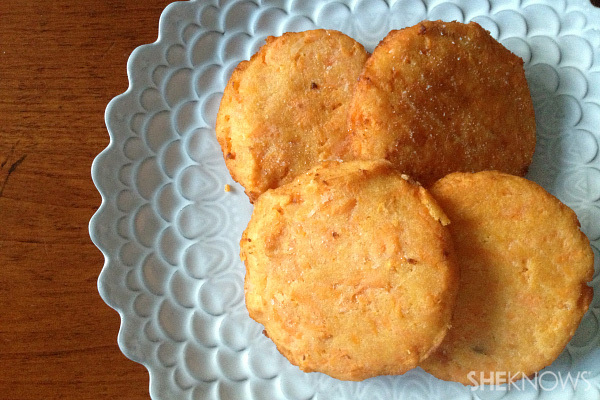 And these meat-free and dairy-free recipes are so awesome, even non-vegetarian guests will gobble them up. Here are some veg alternatives to add to your menu this year. Served with carrots and yams, this main course takes a paltry one and a half hours to cook compared with the traditional big turkey of the table. 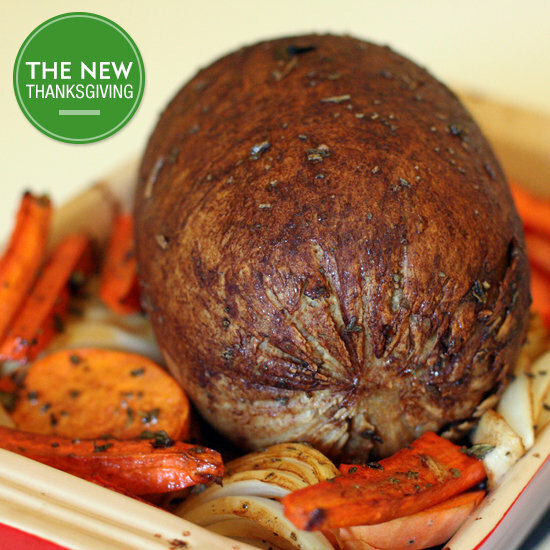 The Popsugar staff omnivores prepared, taste tested and reviewed this tofurky roast with vegetables recipe. 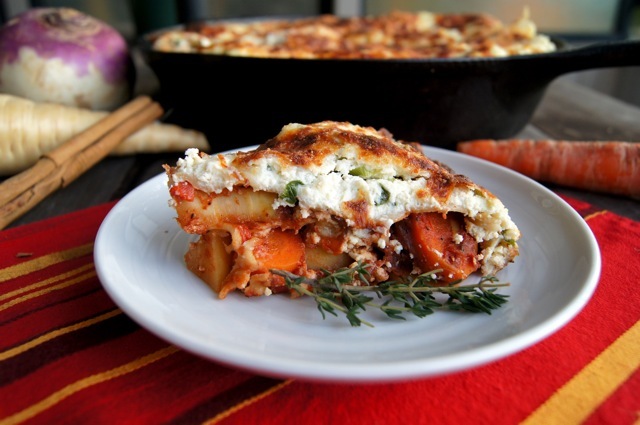 Prepare a delicious combination of ricotta cheese, garlic, parsnips, turnips and cinnamon for a quintessentially fall meal of root vegetable baked lasagna. 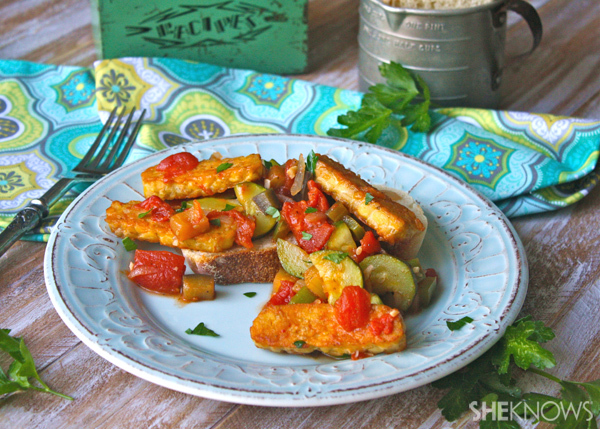 Buck tradition in taste and style with vegan ratatouille with tempeh as the main course on the menu, and your table will be the very picture of autumn with the reds, oranges, greens and yellows of all the roasted veggies of this dish. You’ve had your share of chickpea-, black bean- and white bean-based hummus. Now Thanksgiving is the perfect time to give roasted red beet hummus a try. 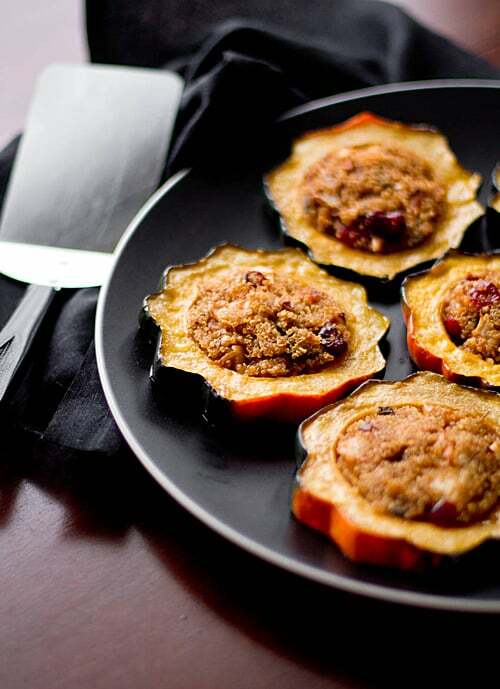 Served with cranberries and maple syrup, these quinoa-stuffed acorn squash rings might just put your average Thanksgiving sides and regular onion rings to shame. This vegetable arty tart can double as your Thanksgiving centerpiece. Why not celebrate America’s original feast with fall squash and kale-based tacos? Traditional stuffing, who needs it? Try this mushroom and leek cornbread stuffing recipe — your gluten-free and vegan guests will thank you. 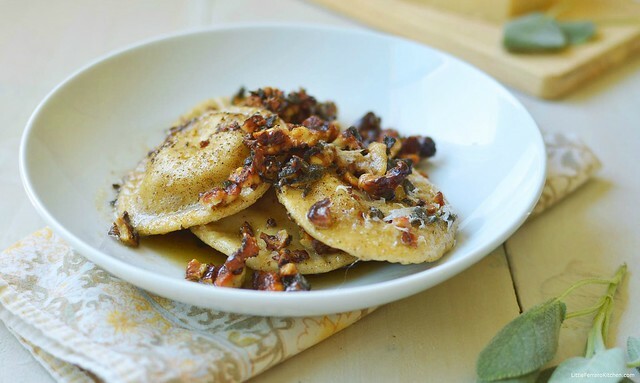 Pumpkin can take center stage on the dinner table this year when you serve this delish homemade pumpkin ricotta ravioli with brown butter walnut sauce. Who says Thanksgiving sides have to be boring? 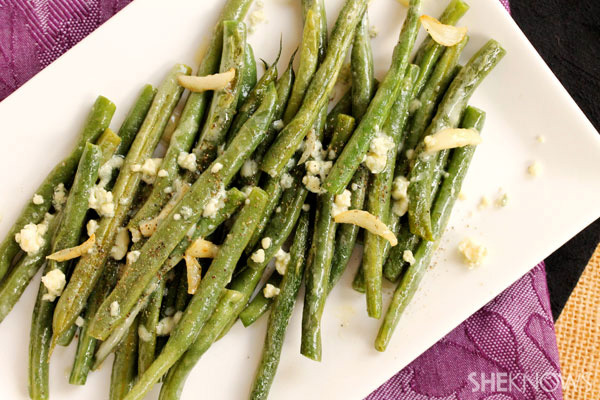 Opt for healthy, gourmet and easy-to-prepare with these olive oil and garlic green beans with crumbled blue cheese. 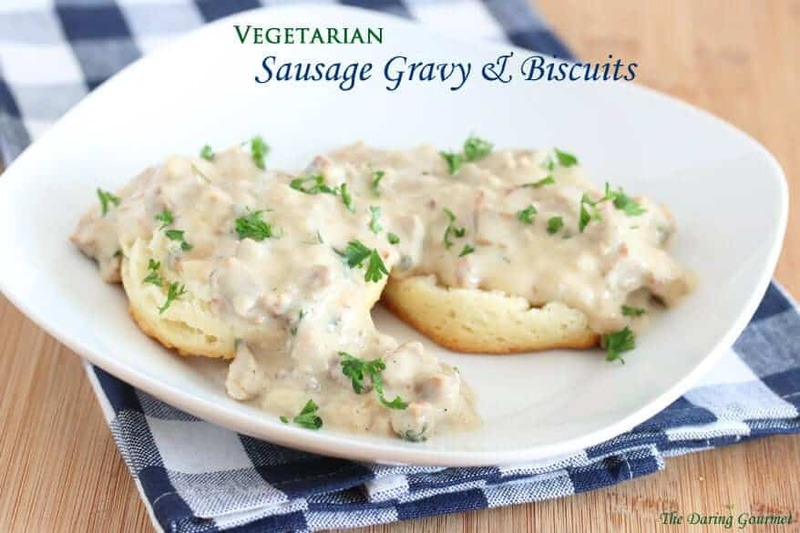 Now your veggie guests don’t have to miss out on a classic: biscuits and gravy! 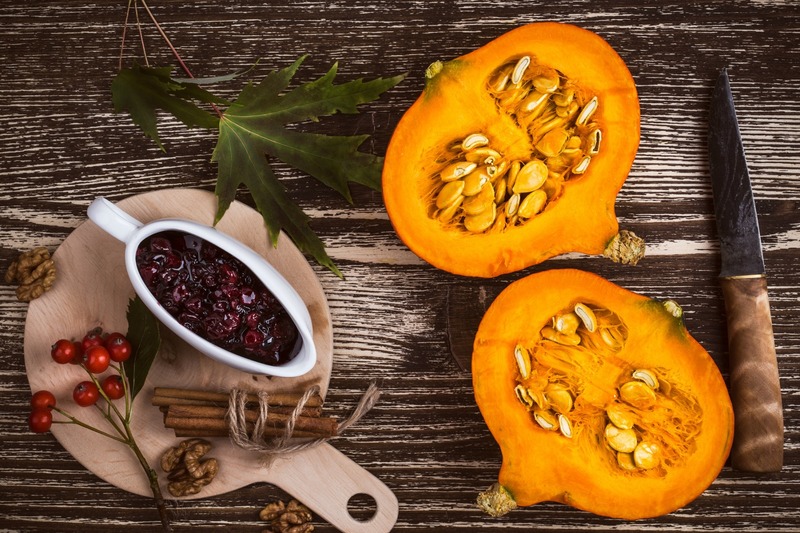 You might not find this on any other Thanksgiving menu, but that doesn’t mean your dinner guests won’t love this hearty, savory, pumpkin-based dish! 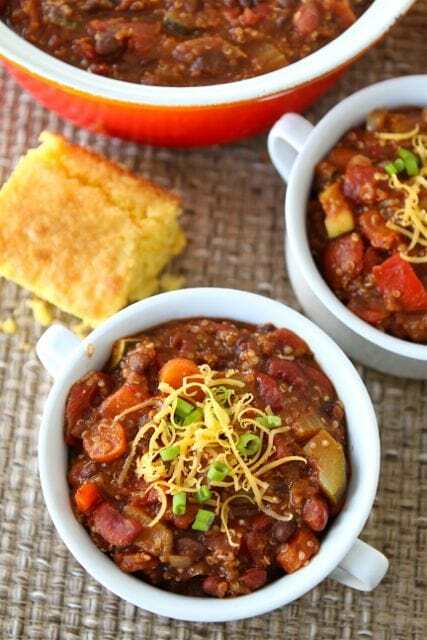 The colors and flavors of fall combine for this Mexican- and autumn-inspired butternut squash chipotle chili recipe. Moist, mouthwatering stuffing that’s vegan-friendly? 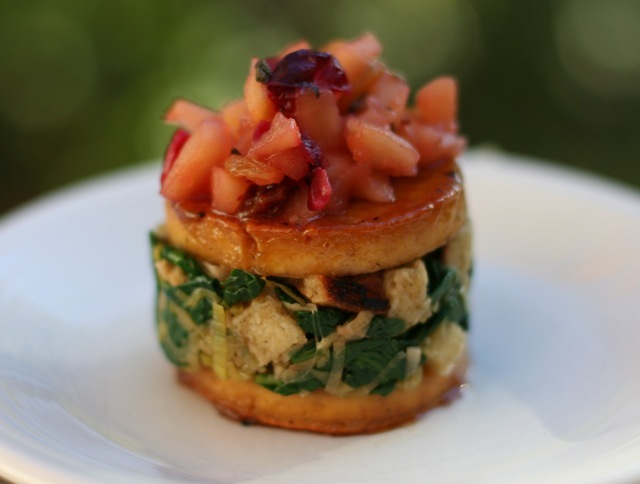 What’s not to like about this maple-apple cider tofu with stuffing and apple-cranberry chutney recipe? Cinnamon, olive oil, salt and pepper combine for the perfect sweet and savory Thanksgiving side dish. 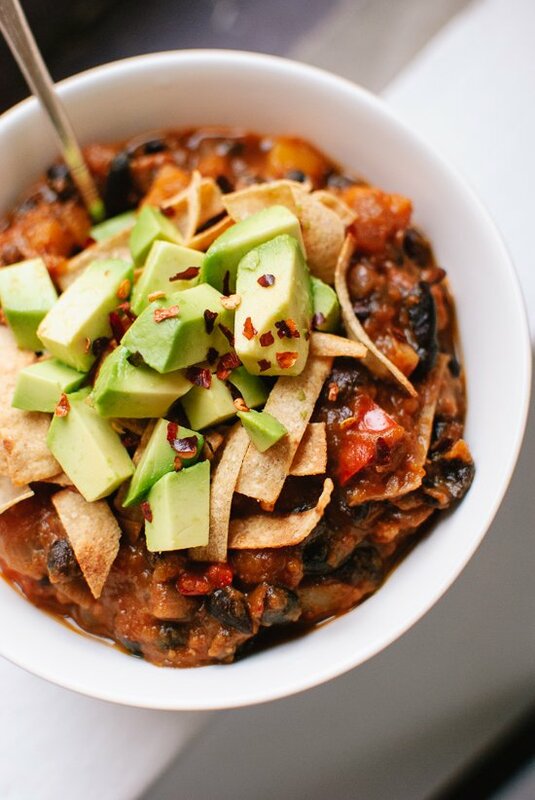 Packed with veggies and black and red kidney beans, this vegetarian and gluten-free quinoa chili recipe may be the most filling and sought-after side on your holiday dinner table. Topped with sautéed wild mushrooms? Yes, please! Never ordinary in the kitchen? 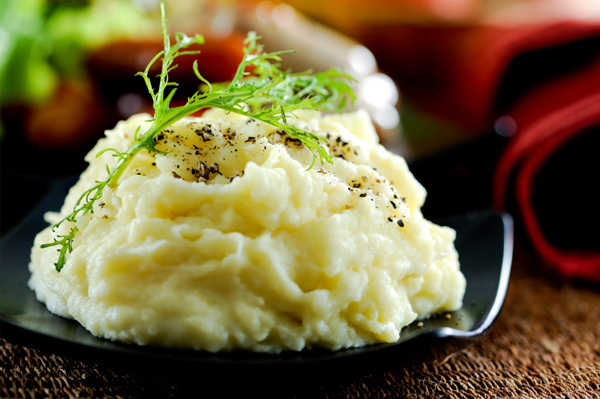 Try this shaved Parmesan and truffle mashed potatoes recipe. 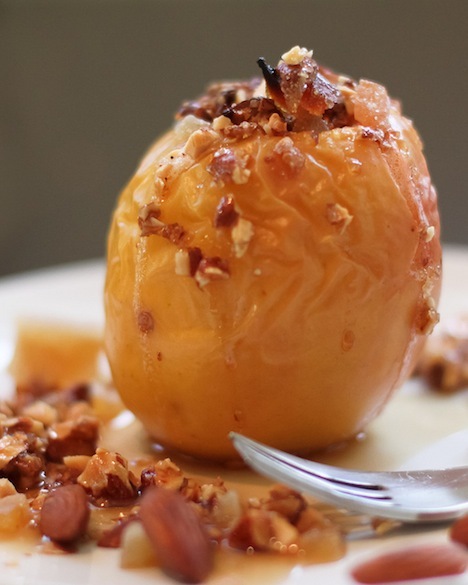 You’ve perfected apple pie recipes, but what about baked apple? Obviously you must try it paired with wine. 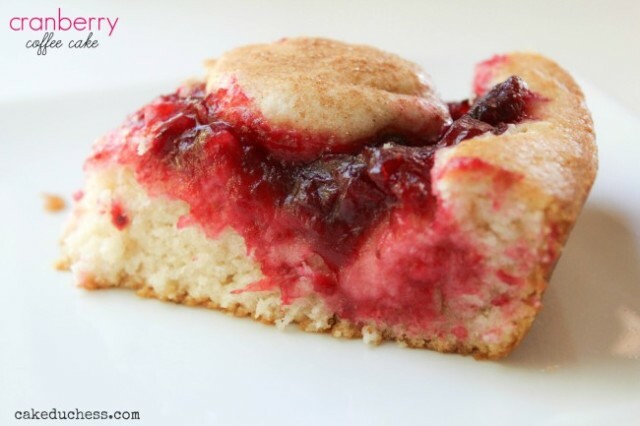 Thanksgiving is truly the holiday of the cranberry, so why not celebrate the berry by making it the star of the dessert menu with this vegan cranberry coffee cake recipe? 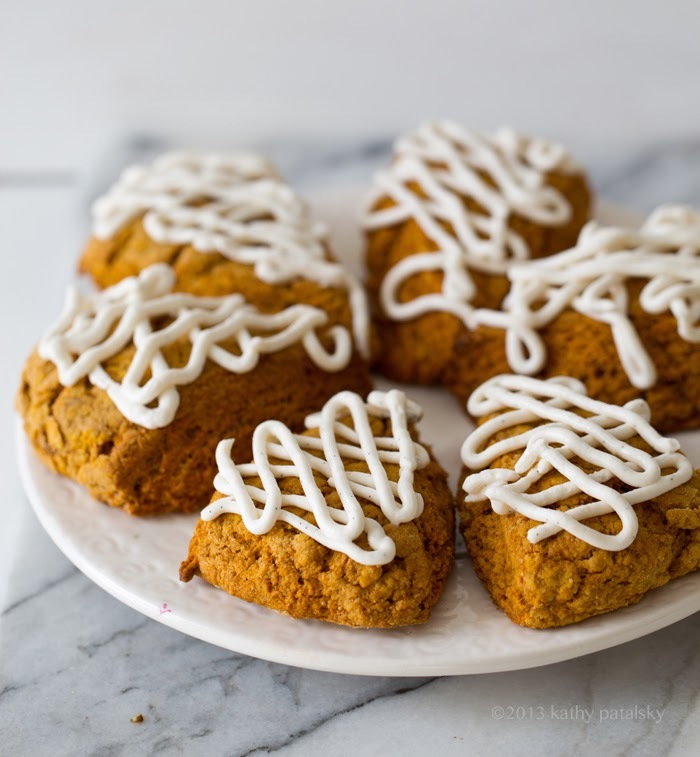 It’s not just your guests who deserve to try these pretty scones — you do too! And yes, the cream cheese frosting is really vegan. Originally published November 2014. Updated November 2017.